Display your city name in lights for important guests to appreciate! The timeless appeal of candles comes to life for you in these dazzling aromatherapy candles (18 oz) in square glass jars. 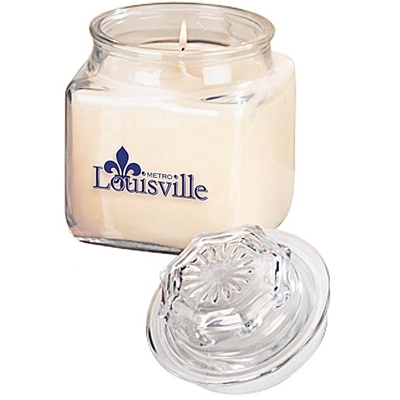 Vanilla Fragrance, Ivory color wax, clear glass jar. 3 3/4" W x 5 1/4" H.